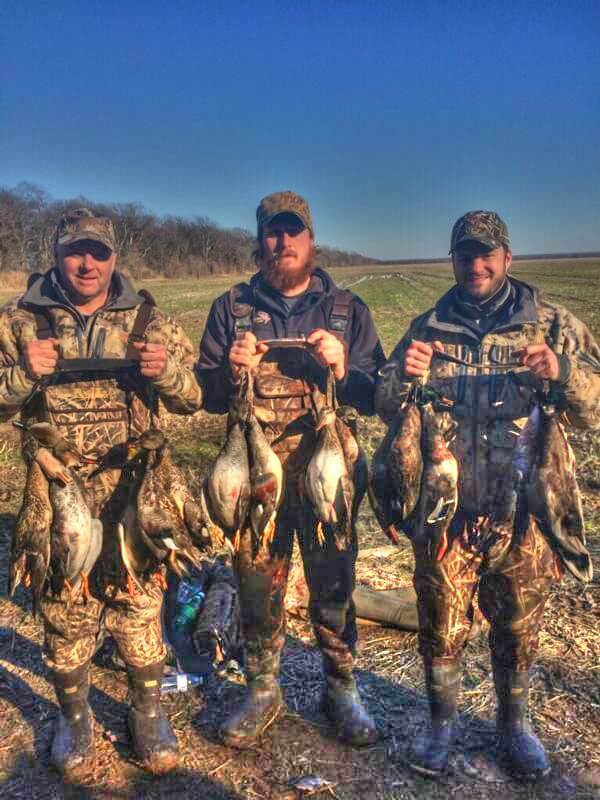 Flying Feathers Guide Service is Stuttgart, Arkansas’s locally respected guide service for Arkansas duck hunts. Flying Feathers Guide Service hunts exclusively on 3,000 acres of land, located in the heart of Grand Prairie near Stuttgart, the mecca for any duck hunter. 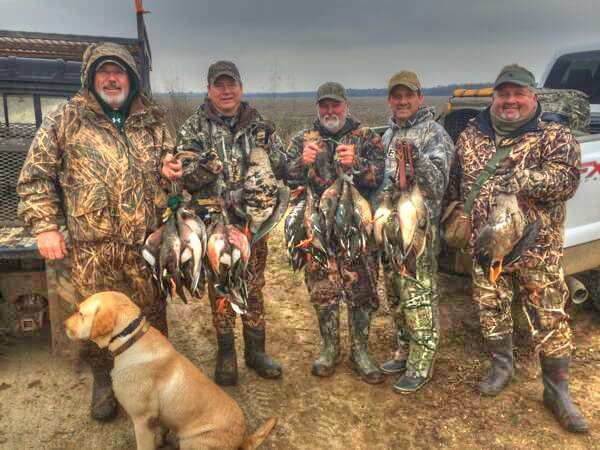 When looking to book a duck hunt in Arkansas, Flying Feathers Guide Service is the guide for you. Our success at Flying Feathers Guide Service comes from our vast knowledge of the Stuttgart area, our plentiful years of experience, and our access to private land. 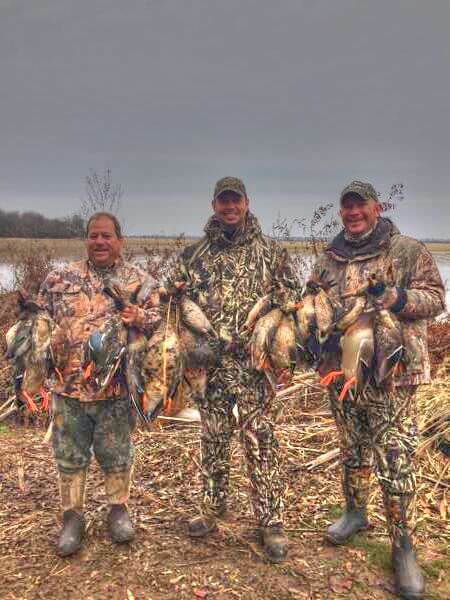 Through the access of prime Arkansas duck hunting land, clients at Flying Feathers Guide Service are sure to be placed in the best locations that result in excellent hunting. At Flying Feathers we offer a wide variety of hunting options, more than any other guide service in or around Stuttgart, Arkansas. We are located near Stuttgart, Arkansas. Conveniently located just west of the “Duck & Rice Capitol of the the World”. Our private hunting fields are also close to one of the largest wildlife management area in the state, Bayou Meto W.M.A. The Bayou Meto is the only W.M.A. in the state that is managed specifically for ducks with hundreds of thousands of ducks inhabit Bayou Meto’s yearly. Stuttgart, Arkansas, is also known as “the golden triangle” when it comes to duck hunting. Our area is considered one of the best areas to hunt ducks with more than 2 million migrating waterfowl yearly. With the waterfowl numbers bountiful, our hunters have experienced great success here over the years. You would be hard pressed to find any better duck hunting than what we have here at Flying Feathers Guide Service. If you are looking for a great duck hunt in Arkansas – check out Flying Feathers Guide Service. Arkansas is home to some of the finest waterfowl hunting opportunities. We are the ultimate waterfowl hunting guide for Arkansas duck hunts. For years Flying Feathers has been providing waterfowl hunters with the experience of a lifetime. We encourage you to learn more about the different duck and goose hunting opportunities we provide. The best waterfowl guides in the business, we recommend Mike and his crew to anyone! I have hunted all four corners of the state for duck and geese, and 20 years ago I landed in the grand prairie with a guide Mike Bogy of Flying Feathers Guide Service and I have hunted with him every year for that time. I have taken more groups of friends and clients than I can remember and I have never had the hunts and success with any of the other guides that I have been with over 30 years of hunting Arkansas. Mike works so hard to make your trip the hunt of a lifetime each day you hunt. I have collected 18 duckbands and 1 goose band in that 20 years and Flying Feathers Guide Service is the cause of those by having us in the right blinds and the right areas. I can’t think of hunting with any other guide. Thank you Mike for all the great hunts and great times I’ve had. Forever Client – Can’t wait until next Year! This was our 2nd year to hunt with Flying Feathers and Mike Bogey, and like last year we were not disappointed, a limit in an hour and a half. Thanks again Mike and Jacob for a Great Hunt and we are already looking forward to next year! I have hunted with Mike for over Ten years. He is the hardest working most professional guide in the business!